Our favourite fluorescent shade for the season? Neon yellow: the brightest, boldest hue of all. First seen at Jeremy Scott’s spring/summer 2018 catwalk show, we’re loving hints of neon slowing moving into the mane-stream. 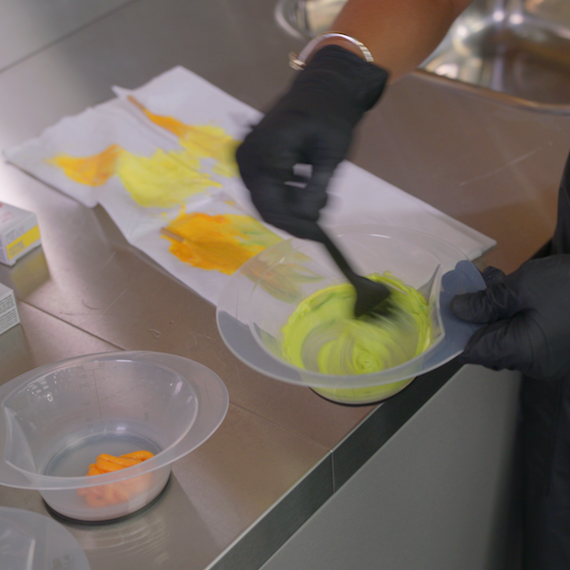 Your neon mix: Wella Color Fresh Create in Future Yellow + Neverseen Green. Step 1: Ensure you have the correct base to begin with. The lighter the hair, the brighter and more glowing the neon shade will be. Aim for a pale blonde base, and don’t forget Wella Plex to keep hair strong and healthy-looking. Step 2: Apply Wella Color Fresh Create in Uber Gold to roots of pre-lightened or naturally blonde hair. This will add dimension to the look, with a softer yellow blending into brighter neon further down the hair. Step 3: Applying in fine sections, smudge the neon color mix of Future Yellow and Neverseen Green below the root. Use fingers or a wide tooth comb to blend the two shades together. Step 4: Leave to develop for 20-30 minutes then rinse clean, without using shampoo, until the water runs clear. Step 5: Blowdry and style as usual, spritzing with EIMI Shine Mist to up the shine factor. 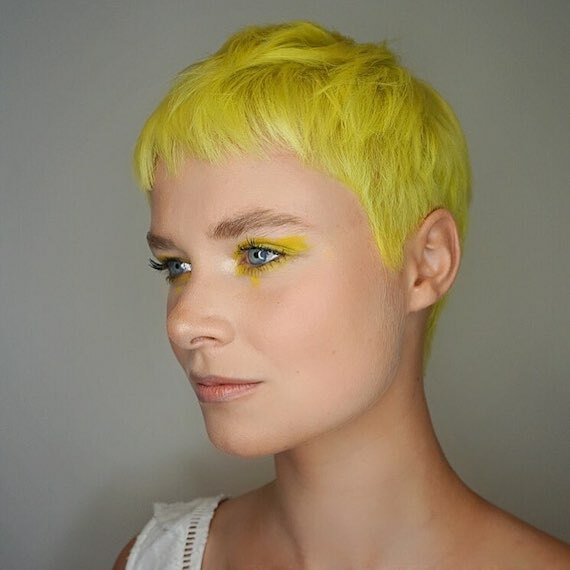 This pixie cut paired with a highlighter-inspired yellow hue shows off the solid shade at its best. A blunt cut lob with fringe always works with bold color to make a real statement. We love the root-y finish on this look. 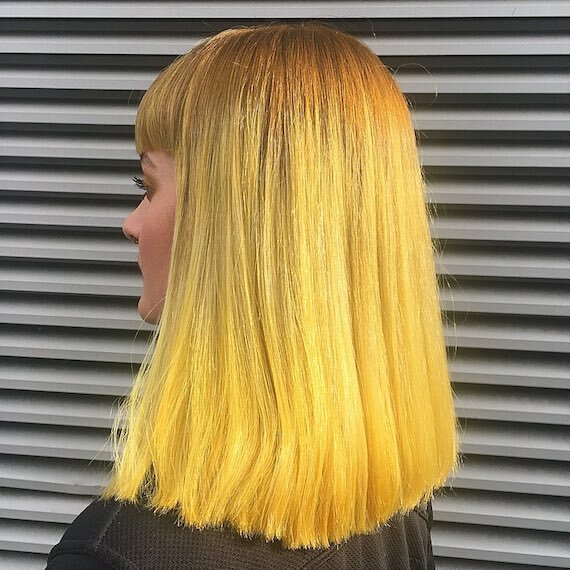 This orange-to-yellow color melt gives a fresh take on classic ombre with zingy shades. 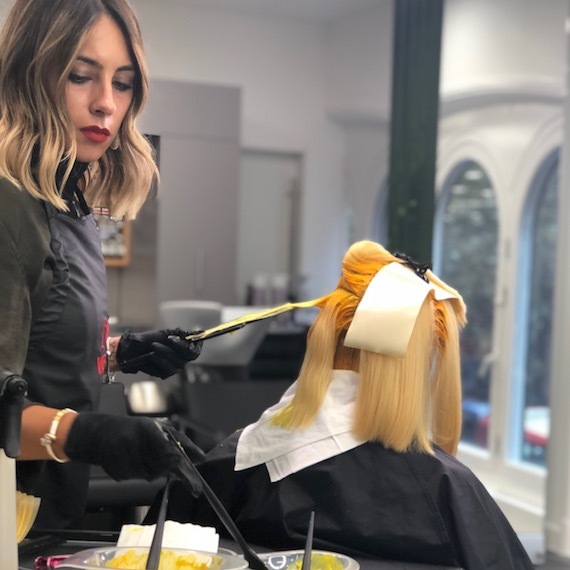 So, clear the salon shelves and start stockpiling a rainbow of highlighter-tipped shades and neon hues for your clients’ next color change. The future’s looking bright. 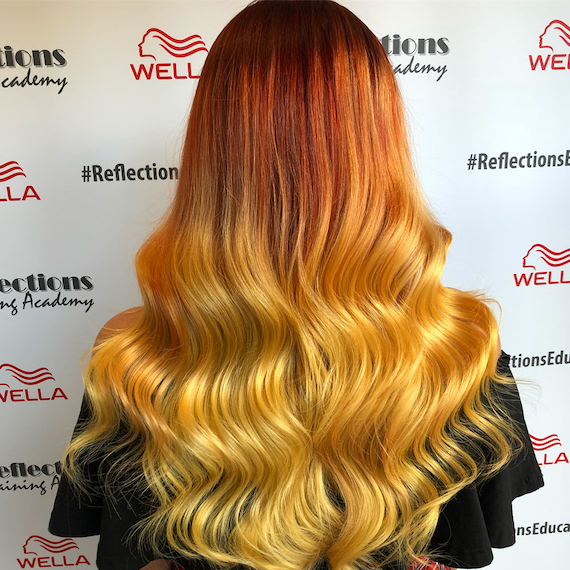 For more hair tips and inspiration, check out the Wella Professionals Instagram or our new Wella Hair Pinterest. 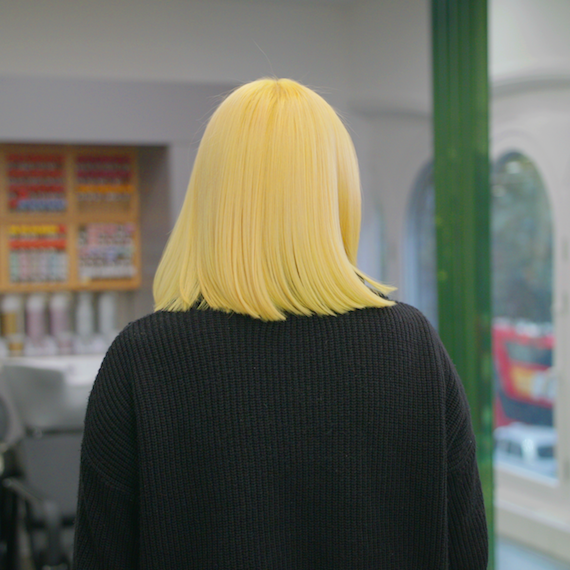 Don’t forget to share your clients’ favourite neon hair looks by tagging your own creations with @WellaHair #AskForWella.